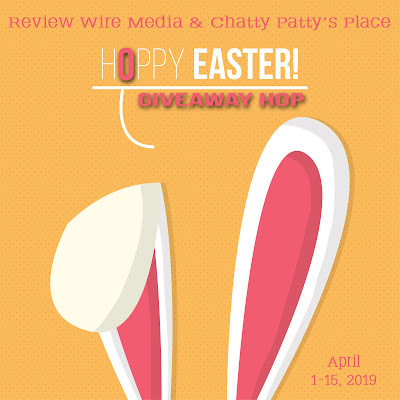 Hoppy #Easter #Giveaway #Hop!! #HoppyEaster #BlogHop | Stacking My Book Shelves! Thank you RWM & CPP for hosting! Happy Spring and Easter if you celebrate! This year I hope to spend some of my time off with my Aunts (they are my besties in the world) this Easter! YAY! I am excited to have some time off from school and spend some time with family. I hope you get the chance to do the same. 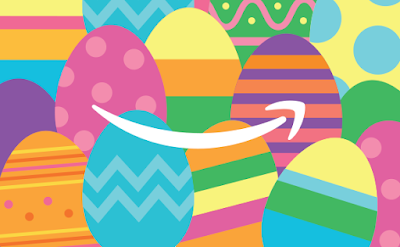 I am giving away a $20 eGiftCard! Fill out the form to enter and GOOD LUCK! Don't forget to hop along to these other awesome bloggers!! It's fun to see the kids so excited! Happy Easter! I hope to bring my nieces and nephew to a library event this year where they can do an Easter egg hunt. My kids have gone on many egg hunts with their church group and enjoy every one of them. I do not have plans at the moment. We have done egg hunting before with nephews and nieces and neighborhood children. We have a nice dinner and do an egg hunt. Enjoy your family time with your aunts. We love to color eggs in fun ways! We have done egg hunts, the kids love it. Happy Easter. Yes we have done lots of Easter egg hunts.This year we will be spending the day with my parents. If all goes well I will be watching my youngest son graduate from Army boot camp. I have not yet made my easter plans yet. Probably going to plant some flowers, or maintain the garden at least. we are taking kids to egg hunt. I'm going to my son's house and watch the grandkids hunt for Easter eggs. Our kids are all grown and mine is out of state, but my parents, me, and my sister's family get together. This year, we are eating out, which will mean more time to socialize. Yes we always have Easter egg hunts with all of the kids in the family. We do an egg hunt at home, and then have Easter dinner and egg hunts at my husband's aunt's house . It's a fun day. We have always done an Easter egg hunt with the kids! We usually have a nice family dinner too. "Any Easter plans? Have you ever done the egg hunt with your kids/nieces or nephews?" We like Easter OK with cute Easter bunnies and suchlike! Personally, the fun of Easter egg hunts has never quite computed with me. I have not done an egg hunt in years. I have done many Easter egg hunts at church .I used to hide eggs in our yard for my girls when they were younger and fill the plastic eggs with things orhot than candy. We are going away for a week just before Easter as my 40th birthday is on the 18th April. Then back home to relax over the Easter break. I do an Easter hunt every year with my kids. We'll be doing an egg hunt and going to church. We plan on having everyone over to our house for a big Easter dinner. I suspect our plans for Easter this year will be the same as ever Easter. We will have a nice family dinner and host an egg/scavenger hunt for the kiddos! No Easter plans this year. No Easter Plans so far. We did do Easter Egg hunts with my nieces when they were little. No Easter plans...probably just a phone call to my great niece and great nephew. Just hoping to have lots and lots of easter chocolate candy. No kids, so no egg hunts there... but I have no idea if I did any as a kid myself. We usually dye eggs and put out snacks for the Easter bunny the day before. Then, we open our Easter baskets, go to church, and visit family to have a big meal on Easter. Yes it is lovely seeing the joy on their faces. We'll be having Easter dinner at my house. We have no real plans for Easter, as we don't celebrate it. I have never done an egg hunt! We used to do an egg hunt every year for our kids, when they were younger. No real Easter plans this year. When the kids and grandkids were little we did the egg hunts. I am not sure what we are doing for Easter yet. Yes I have done easter egg hunts before with my niece and nephews. And the adults had one of their own. We always hide eggs on Easter with the family we decorate them too. Everyone's coming over for dinner. No Easter plans this year. Yes, I have done the Easter egg hunt with my children, niece and nephews. I did egg hunts all through the years with the kids but now they are getting too old. We are doing an easter karaoke party instead lol. I will spend time with family. We are going to an egg hunt tomorrow. My little girl is obsessed with them. This year we're having a family dinner for Easter. I will be spending Easter at my Mom's with all my family. We have no small children in the family, but we use to do Easter Egg hunts. Will start again when Grandkids come along. We will be doing a Easter Egg hunt with my granddaughters this year. Having Easter dinner with friends. Did do the Easter egg hunt with my niece & nephew long ago (30 years). going to a big family get together this year. Yes, we love having an Easter egg hunt with the kids! We always do an Easter egg hunt. It's very fun.